CoFlex LF2 is a LATEX-FREE FOAM bandage that sticks and performs as well as a latex bandage. With an open cell foam surface, CoFlex LF2 absorbs and holds its latex-free cohesive, delivering a long-lasting cohesive bond. CoFlex LF2 is unaffected by water which allows it to stick and hold wet dressings in place. Designed with a thin, soft layer of specialty foam, CoFlex LF2 is non-irritating and gentle on the skin with a comfort level unmatched by other products in the market. 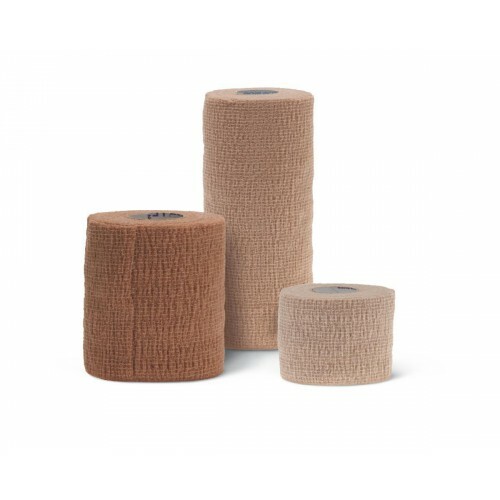 This Coflex bandage can be used for all cohesive bandage applications including the treatment of edema, holding dressings in place, stabilizing IVs and as a light compression wrap. 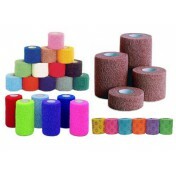 Coflex bandage non latex wrapping tape has many medical and athletic uses. 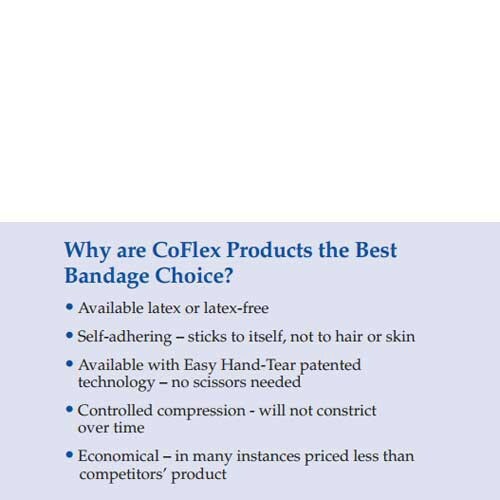 Coflex can be used as a compression bandage to reduce or stop bleeding while promoting circulation and healing. It can reduce bruising and help control swelling. Sports enthusiast use Co-flex foam bandage as a support wrap for the foot, ankle, leg, knee, shin or other parts of the body. Hospital and clinical applications include holding IVs in place, affixing monitors, vascular post-operative wrap, support wrap, bandage, edema control, leg ulcer wrap and finger immobilization. 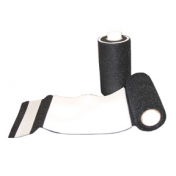 Coflex non latex tape is often used as an overwrap in conjunction with the Unna boot. Co-Flex self adhesive wraps are popular sports wraps that adhere to itself and therefore requires no adhesive, clips or fasteners like most wrappings.Veterinarians also find use for Coflex as a VetWrap as it does not stick to the hairs of their furry patients. Coflex wrapping tape is light weight and provides nonslip support. It is a latex free, self adhesive wrap that comfortably adapts to the contours of the body, providing protection and absorbing shock during athletic activities. Self-adhesive wrap with no clips or fasteners. Light weight porous wrapping that is breathable. Absorbs shock during strenuous sports activities. 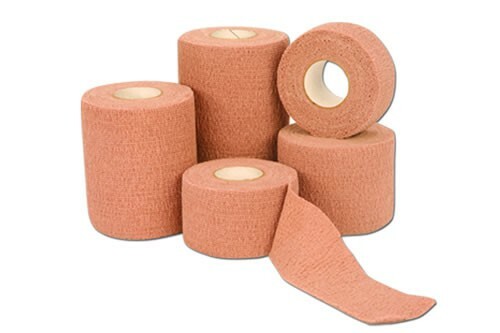 A general purpose self adhesive wrap for all applications including the treatment of edema, holding dressings in place, stabilizing IVs and as a light compression wrap. Why is CoFlex LF2 better? CoFlex LF2 is latex-free, but sticks like latex. The open cell foam on the surface of CoFlex LF2 is designed to absorb and hold the latex-free cohesive. This allows for a quick-stick, long lasting cohesive bond. 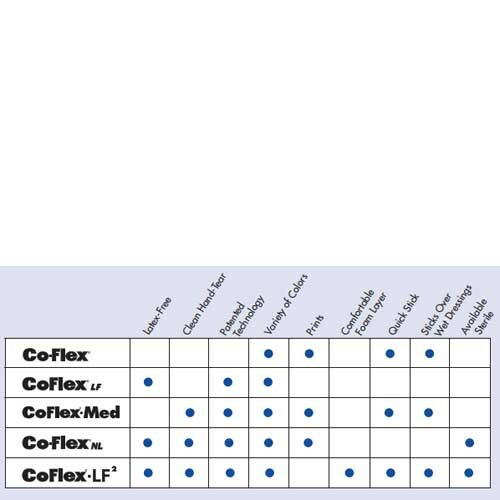 CoFlex LF2 is more comfortable than other cohesive bandages. 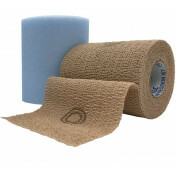 This CoFlex bandage is designed with a thin, soft layer of specialty foam in the bandage. The foam provides a baby-soft smooth surface that comes in contact with the skin, maintaining a comfort level that is unmatched by competitive products. CoFlex LF2 sticks over wet dressings. CoFlex LF2 was designed to stick over wet dressings. Traditionally latex-free bandages haven't performed well over wet dressings, forcing the industry to continue using latex bandages. 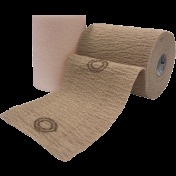 CoFlex LF2 is latex-free and its patented cellular foam technology enables it to stick and hold wet dressings in place. 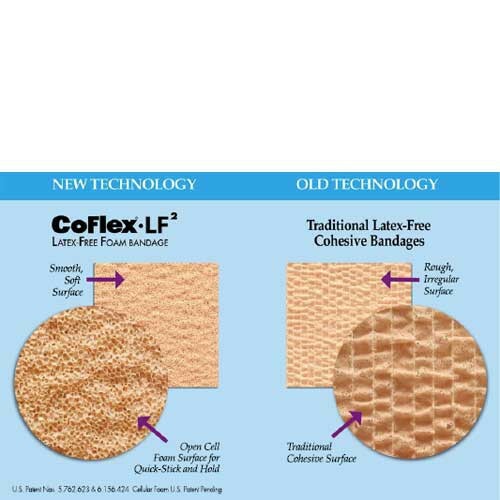 CoFlex LF2 is easier to apply and lasts longer than other cohesive bandages. 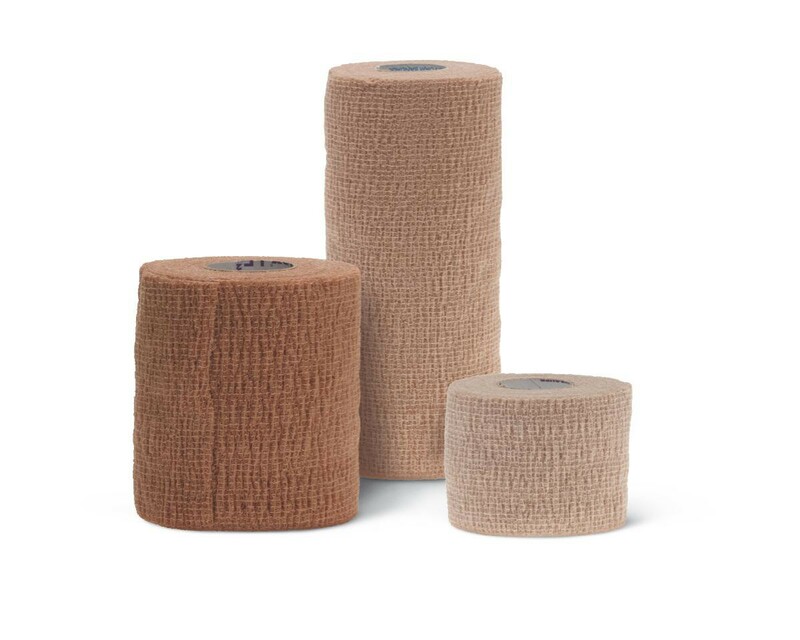 A combination of Easy-Tear Patented Technology and Cellular Foam Patented Technology makes coflex bandage easy to tear and will last until removed so there is no need to reapply the bandage due to unraveling. Width Options: 1, 2, 3, 4, and 6 inches. Soft layer specialty wrapping tape. 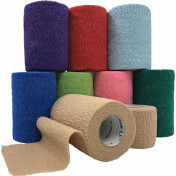 **Note: All CoFlex bandage bulk orders must be over 10 cases to be processed for immediate shipment. Product Flyer contains features and benefits as well as product variations. Where can I buy the five inch no latex foam bandage (gray) in Omaha, Nebraska? Vitality Medical does not have any storefronts available outside of our headquarters in Utah. You may purchase the item through our website, vitalitymedical.com. We have used this product for years and it is the best one on the market. We used it exclusively for wrapping greyhounds with injured legs. Product is fine, delivery was awful. I paid extra for expedited shipping and it took a week to get delivery. 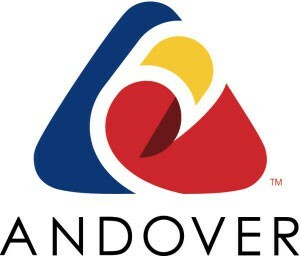 There is a reason why the US Postal Service is going broke --- they have terrible service. I won't buy from you again if you use the USPS. 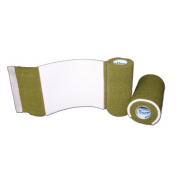 It is a multipurpose foam pad dressing as well as cohesive bandage. It has got high absorption. With its retention of exudates it can control maceration. It is very soft and comfortable on wound. This foam pad is covered with as waterproof film layer keeps it safe from leakage. It also ensures the contamination is kept out. It provides you controlled compression.